While choosing a preschool for your child, it is necessary to check their education process, their practice of motivating your child in all aspects, and the facilities provided for the kids learning there. You should be very keen when choosing the best preschools for your child. It is the place where your child learns morals, behaviors and more. So choosing a preschool for the child is one of the biggest tasks for the parent and here is a list of questions every parent should ask the preschool management before choosing the best one for their child. Is the preschool accredited and licensed? 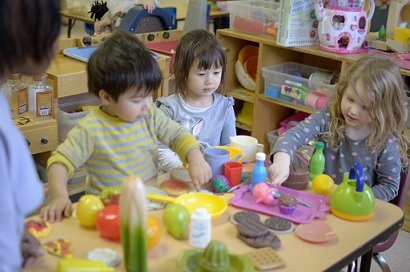 Since many preschools are run privately, you need to ask whether they are accredited by the National Association for the Education of Young Children (NAEYC). NAEYC is one of the most respected and comprehensive preschool accreditation programs that could assure the highest level of education and safety to your kids. Also, you need to ask whether they are licensed. Even though licensing won’t ensure quality, it is necessary to ensure that the school has met the state’s basic safety and health standards. Does the school meets your child’s need? Children who are entering preschool have different maturity range; some may trouble while separating them from their parents, while others are independent; some may potty-trained, others are not; some child may take a daily nap, other may not need it. So you need to check how the school staffs deal with this type of basic needs of your child and think whether their policies suit your child needs. Also, you need to inquire about the number of students in the school, student-teacher ratio, class size, etc. before taking the decision. Are the teachers certified and have credentials? You need to inquire whether the teachers have undergone teacher training courses, study early childhood development courses, attended college, etc. Also, make sure that they take care of your child very well and behave well with them, and know the experience of the teacher in the particular school. Will your child be safe at the school? Inquire about the pick-up and drop-off policies of the school. Check the school grounds and ensure whether the safety of your child is supervised properly both indoors and outdoors. Know their protocol in the case of a child hurt in school. Also, ask how many staffs of their school are well trained in CPR, pediatric first aid, nutrition, playground safety, etc. This entry was posted in Education and tagged best preschools in Albuquerque, preschools in Albuquerque by [email protected]. Bookmark the permalink.